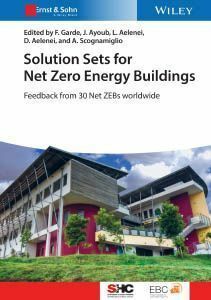 Initiated by the International Energy Agency, this book presents a unique study of 30 Net Zero Energy Buildings in practice. It identifies solution sets for building design in most climates and for various building types to achieve a far greater performance benefit than normal. Dr. Francois Garde is Professor at the Department of Sustainable Construction, Faculty of Engineering, University of Reunion, France. Josef Ayoub is Senior Science & Technology Planning Advisor for Natural Resources Canada in Montreal. Dr. Daniel Aelenei is Professor of building physics and building technical services at the Department of Civil Engineering of the ?Universidade Nova? Lisbon, Portugal. Dr. Laura Aelenei is a researcher at the National Energy and Geology Laboratory in Lisbon, Portugal. Dr. Alessandra Scognamiglio is a researcher at the Italian National Agency for New Technologies, Energy and Sustainable Economic Development. 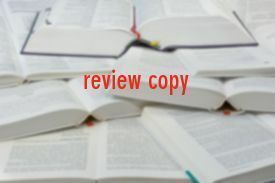 Do you find a publication particularly interesting? Do you wish to review a title? We would be pleased to send you a copy. Please use the prepared form to request one.